this is a real italian sandwich! My cousin Lenny just came up from the bronx.He said this eggplant”fell off the back of a truck”, but it looks just fine to me.So I’m gonna pass my good fortune on to my loyal customers and make you an eggplant sandwich New York style! Lots of tomato sauce mozzarella & eggplant! 5 bucks while supply lasts. 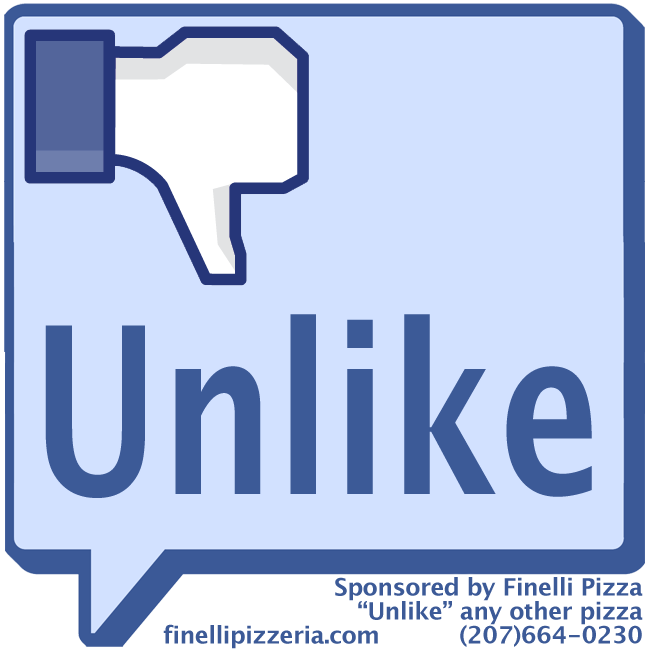 Finelli New York Pizza has a challenge for those who appreciate creativity and mostly harmless mischief. We’ve ordered hundreds of 3″x3″ LIKE & UNLIKE stickers and are willing to give a few out for free to anyone who comes in and asks for them. But wait.. there’s more to this than just some free stickers, we’re willing to give away some special prizes for any photos of creative placement of these stickers. The more creative and funny the better. We haven’t set the prizes for this contest yet but the more you can make us and others laugh at your use of the stickers, the bigger the reward. Certainly there are free slices, gift certificates, free pizzas and more at stake here. 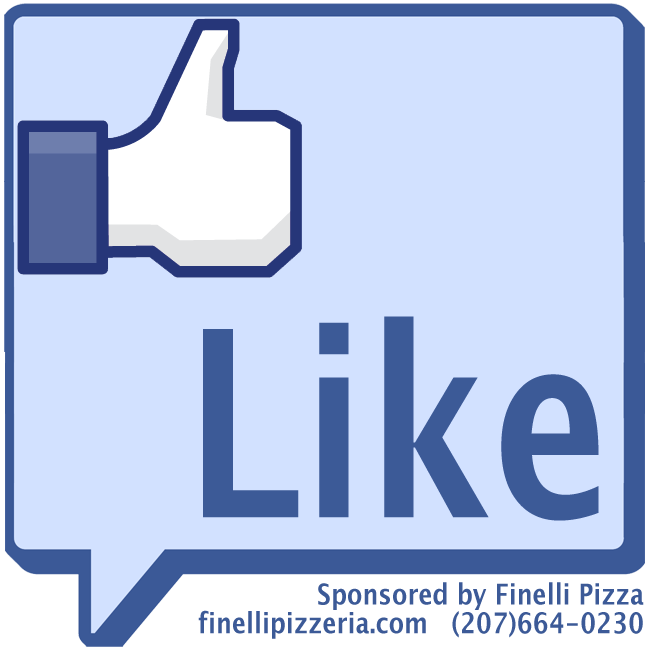 E-mail your photos to stickercontest@finellipizzeria.com and we’ll share the best ones on our website & facebook. Disclaimer – Finelli New York Pizza is not responsible for nor does it condone the use of these stickers on federal, state, municipal or private property, gym lockers, teacher’s desks, your friend’s car bumper, gas station price marquees, cheap disgusting supermarket frozen pizzas, your friend’s back, your girlfriends notebook, your boss’s desk/car, political candidates, party signs &/or headquarters, fast food chain drivethru menus, or anything else that might be interpreted sticker vandalism or misuse. Congratulations to William Von Der Heydt, one our Facebook friends and winner of a $50 gift certificate to Finelli New York Pizzeria. The winning number 9 was chosen by Facebook fan Tom Farley.